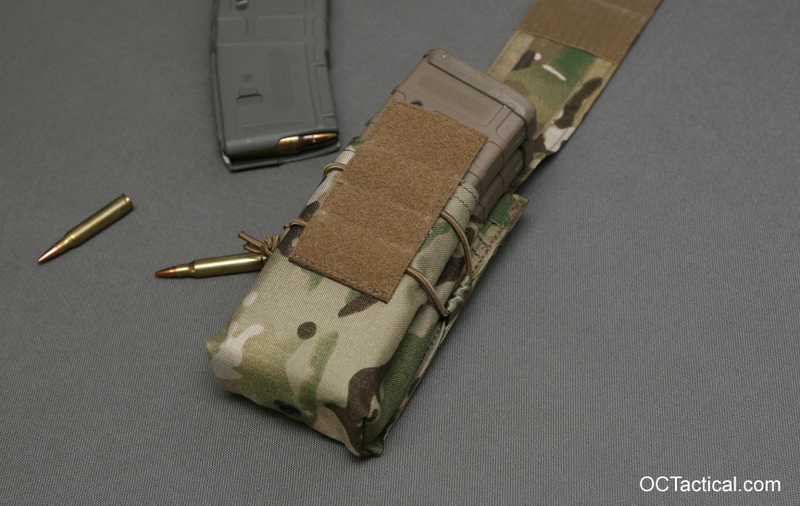 An updated version of my double 5.56 magazine pouch is now complete and a few have already moved out the door. 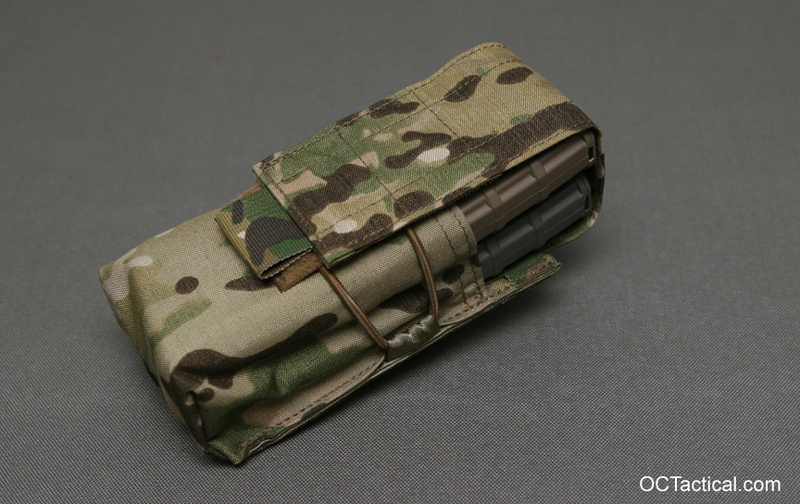 Over the last year I’ve noticed the orders for my traditional double mag pouches has dropped and custom orders for mag pouches have gone up. So I incorporated some of the trends from the custom orders along with feedback from customers into the new design. The body of the pouch is basically the same as the old one except instead of double layer 1000D cordura the entire pouch is now made using double layer 500D. Although mag pouches tend to take a beating the reality is that the velcro on the pouch will wear out long before you wear a hole in the 2 layers of 500D. So the double layer 1000D on the originals was just overkill and added unneeded weight to the pouch. The other change to the body was to make 2 separate channels for the shock cord to pass through. Normally when the cord passes through the same slot it has a tendency to bunch up and effectively places all the resistance in the same spot on the mag. 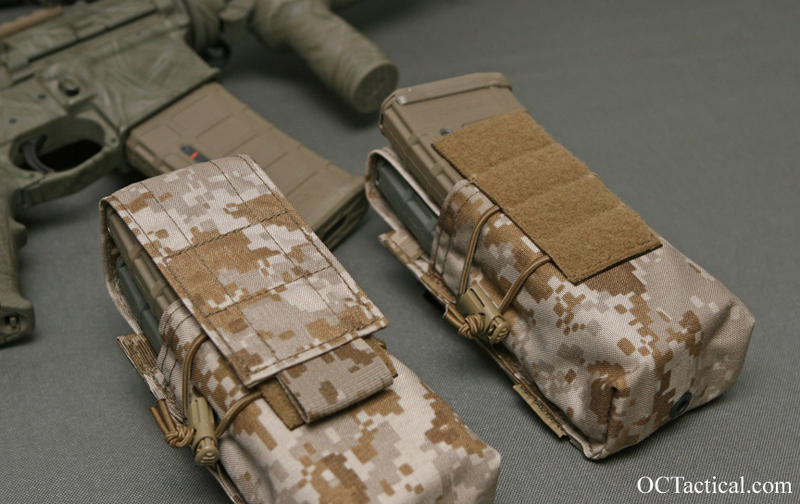 This is the one advantage I see that woven elastic has over shock cord when it comes to mag pouches. Routing the cord through the 2 channels basically helps spread the resistance out over a larger area of the mag without giving up the ability to adjust the tension or replace it if necessary. The last and biggest change was the addition of an adjustable flap. 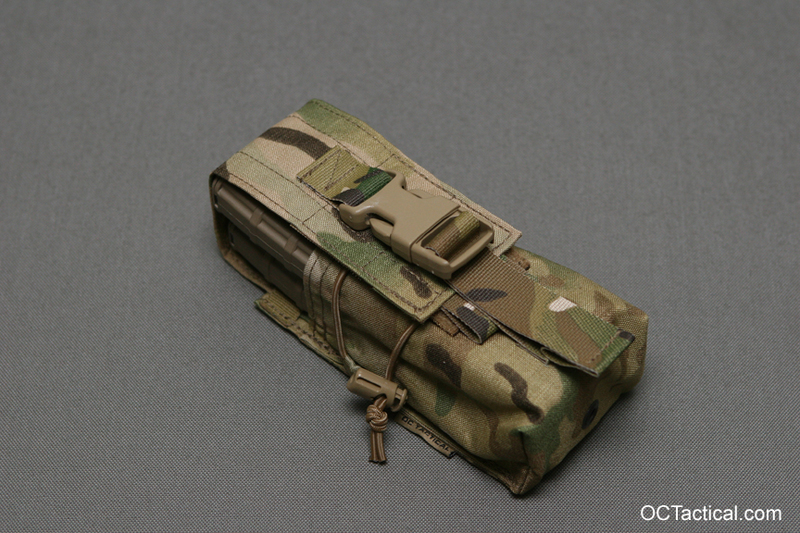 Even orders for my standard pouches were starting to become more like custom orders because guys needed the length of the lids to match their specific mag set up. So with the huge variety of magazines now available and the popular use of accessories like ranger plates the need for an adjustable lid was the only way to go. After talking to Bryan at ITS I also made the flap as wide as possible, but still narrow enough to slide between the 2 mags. So in the end this new design has cut the overall weight of the pouch by 10% without sacrificing service life and made it more versatile with the addition of the adjustable flap. Lastly, thanks to everyone out there who took the time to give me input on the changes you wanted to see and Bryan from ITS for taking the time to give the prototype a test run. 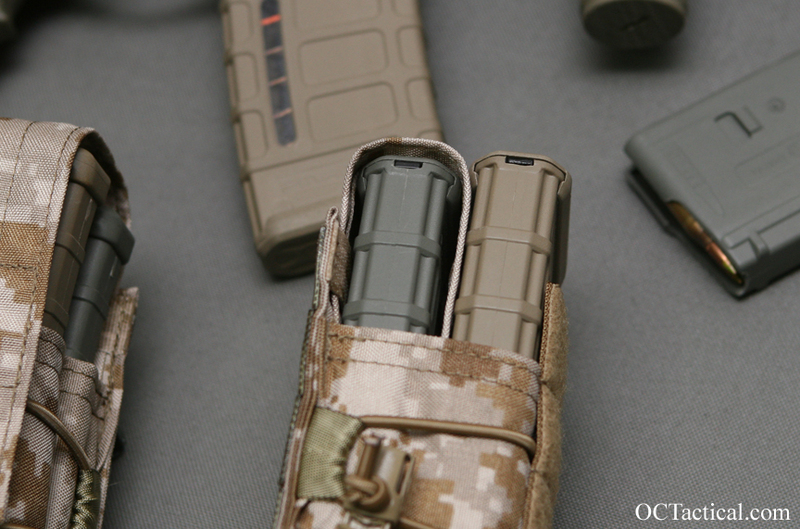 Great write-up Mike, these mag pouches are fantastic! Keep up the awesome work! !